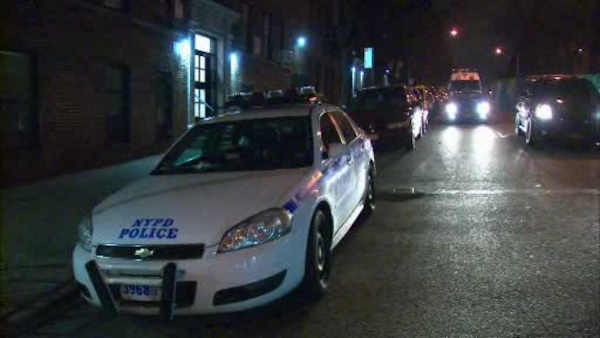 EAST TREMONT, Bronx (WABC) -- A 70-year-old man was stabbed in the neck, and critically wounded, during a fight outside a homeless shelter in the East Tremont section of the Bronx. The victim was attacked outside the Hughes Avenue building at around 11:40 p.m. Sunday night. He was rushed to St. Barnabas Hospital in critical condition. The man had apparently gotten into a fight with a 50-year-old man who fled the scene. Both live at a mental health facility. The motive for the dispute was not immediately known. The suspect has been taken into custody. He had the knife in his possession at the time of his apprehension, authorities say.